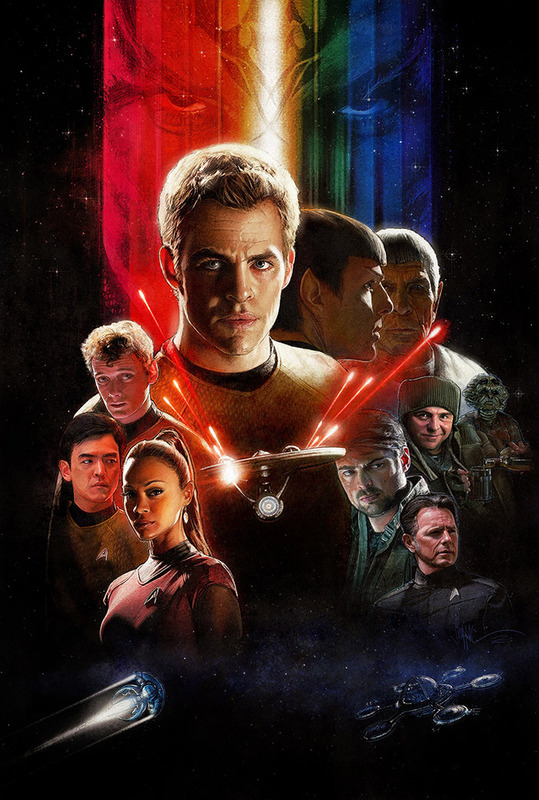 Paul showcased this excellent artwork over at Planet-Pulp, he stated that it took him 4 days to complete and was influenced by Bob Peak’s poster illustration for Star Trek: The Motion picture. Even J.J. Abrams is a big fan of Paul's design. The excellent reboot directed by J.J. Abrams see's the fate of the galaxy resting in the hands of bitter rivals. One, James Kirk, is a delinquent, thrill-seeking Iowa farm boy. The other, Spock, a Vulcan, was raised in a logic-based society that rejects all emotion. As fiery instinct clashes with calm reason, their unlikely but powerful partnership is the only thing capable of leading their crew through unimaginable danger, boldly going where no one has gone before. The human adventure has begun again.